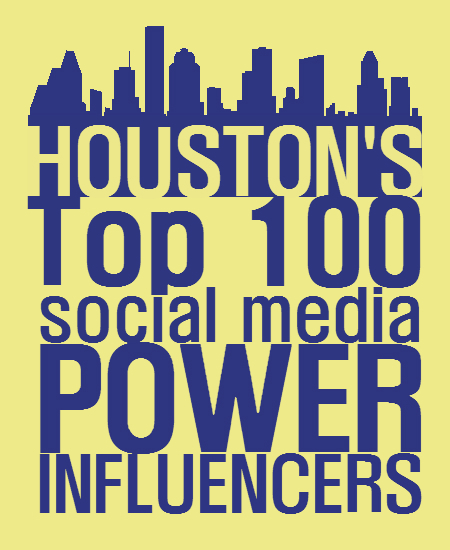 If you’d like to follow these great folks, check out the Houston Top 100 Twitter List. To meet some of these guys in person see the Houston Social Media Breakfast. They meet the second Friday each month. Do you have any corrections? Did I miss anyone? Please let me know in the comments below. I am so honored, Eric! But my info is outdated? It should be: “Social Media Director, Mayor @AnniseParker & @HoustonTXdotgov”. NO WORRIES, got nothin’ but love f’ya! My Twitter handle has also changed: @MelissaLovesHOU . Thanks for curating this list! Hey Eric! I am soo excited to have made the list! My new handle is @ohitzlilia, and I am currently Account Manager/Social Media Strategist at @PatriotAdvINC. 🙂 Thanks! Eric – what an honor! I’m thrilled to be here among some truly great professionals! I’d love it if you could update my Twitter to @PolkaDotImpress – it’s the more accurate profile for me! Again, I’m really excited to have made the list! Thanks for all you do, Eric! What a great list, and so many leading brands represented. Proud to have quality thought leadership in Houston! Thanks, Eric! Glad to be part of the list again. I wanted to alert you that I’m now at NWN Corporation. Many thanks for the work you put into this list and the support you provide our community! Great work and list Eric, thank you. Just added my location to my Twitter bio to be counted next year…;) See you soon. Maybe, I’ll make it next year. I see some other bloggers made the list this year. I’ll keep working in social media. Thanks for the list, it gives me great people to follow! What a great list (and useful resource) for borrowing ideas! I’m proud to have grown (my company’s) social media following by more than 700% since taking the lead in January!